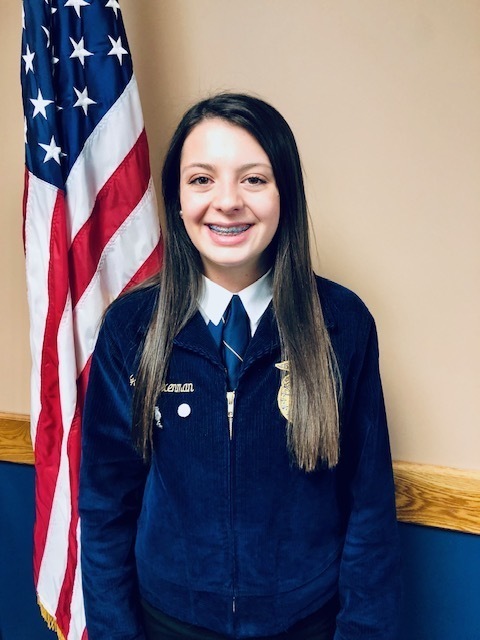 The Missouri FFA Association selected Jacee Bixenman, Sydney Stundebeck and Gwen Wilkey from the Salisbury FFA Chapter as 2019 State Choir members. Jacee, Sydney and Gwen are among the 180 individuals chosen for the FFA All State Choir. Students rehearse and perform at the State FFA Convention in Columbia held April 25 - 26, 2019. FFA members have the opportunity to share their musical talent in front of a crowd of more than 8,000 FFA members and guests. FFA members are selected based upon their musical ability through an application process for the FFA All-State FFA choir.